From Real Life to Manly Meals and Everything in Between! Post contains sponsored/affiliate links and I get commissions for purchases made from links. As an Amazon Associate I earn from qualifying purchases. 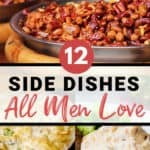 Side dishes can make or break the meal. A good side dish should compliment the main dish. 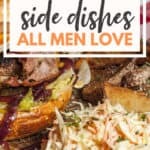 Let’s be frank, most men like dishes that are hearty and stick to your ribs. Every man wants it to stick, but we also love some variety. This isn’t a list of your typical side dishes. 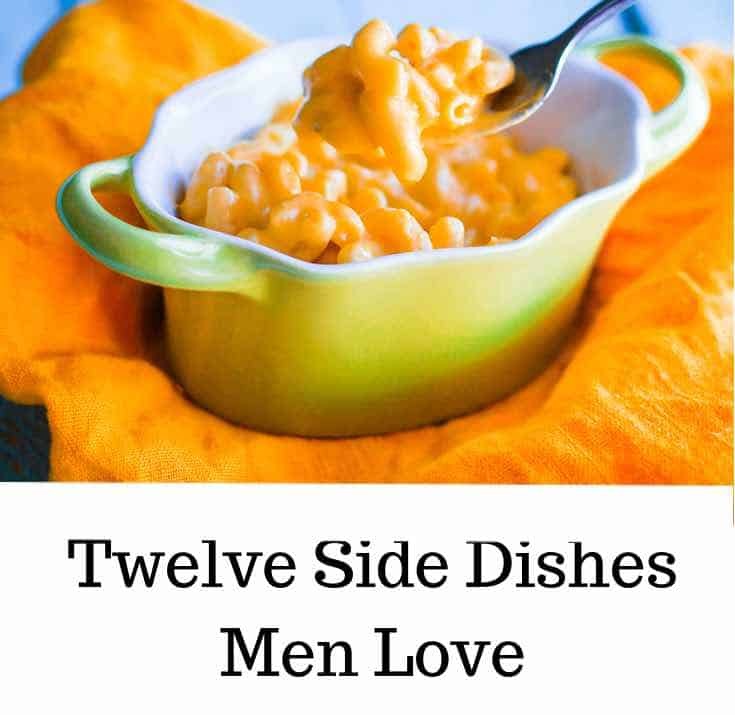 These are side dishes men love and will have the whole family wanting a second helping. These side dishes will provide a nice change if you are in a rut and need something new on the menu. 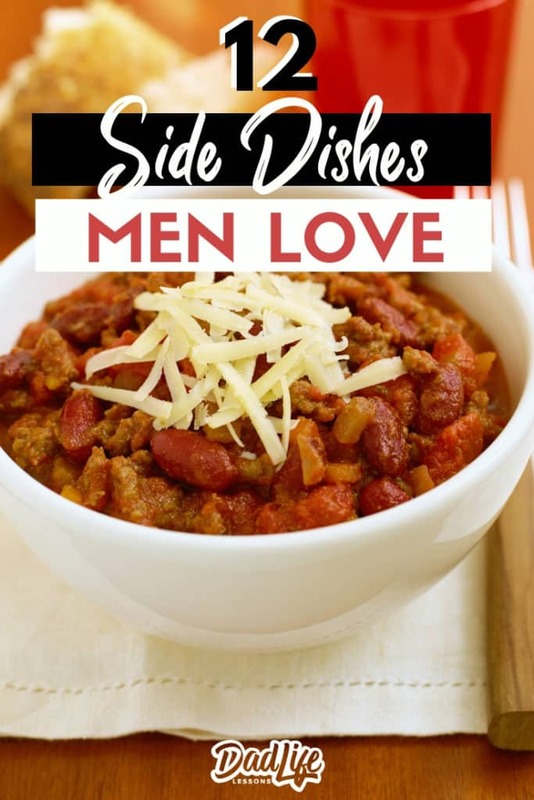 If you looking for a hearty main dish check out our Manly Chili Recipes. Enough setting the table, let’s dig into these side dishes. 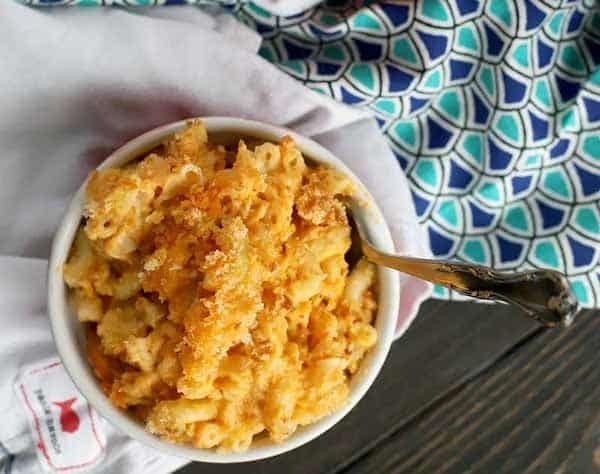 Mac and cheese is a favorite for a lot of folks but to make it a dish perfect for the guys you can step it up a notch with this macaroni and cheese. Made with real butter, sour cream, two kinds of cheese and, of course, Frank’s Hot Sauce it’s a dish made for men. Baked or mashed potatoes are a standard for us guys, at least at my house. But this recipe makes them even better. 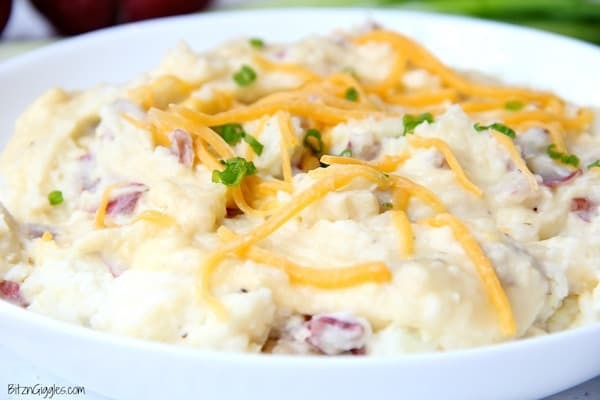 It turns red potatoes into a twice baked potato casserole loaded with sour cream, butter, and other down-home goodness. 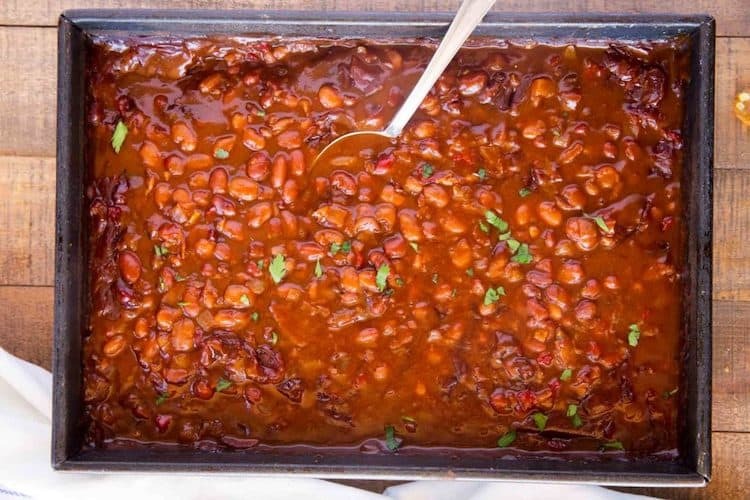 Beans go well with so many main dishes – from BBQ chicken to steak. 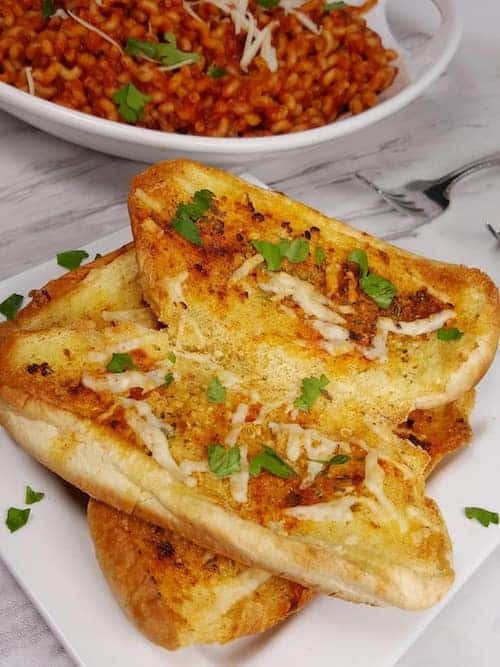 This recipe combines four kinds of beans with tasty ingredients like onion, diced peppers, garlic, molasses, and ketchup. It’s a one-pan dish the whole family will like. This delicious dish couldn’t be easier and is a favorite of guys who like to grill. You only need three things – asparagus, bacon and your favorite BBQ sauce. It doesn’t get any easier. This one ranks #2 on my sides dishes. Pair it with a juicy steak and the garlic bread down below. Not only will you men like this one but the kids are going to love it too. Hot dog buns make a great platform for garlic and other spices and cheese. The air fryer does an excellent job of toasting them up. Don’t have an air fryer? Just use your oven broiler. 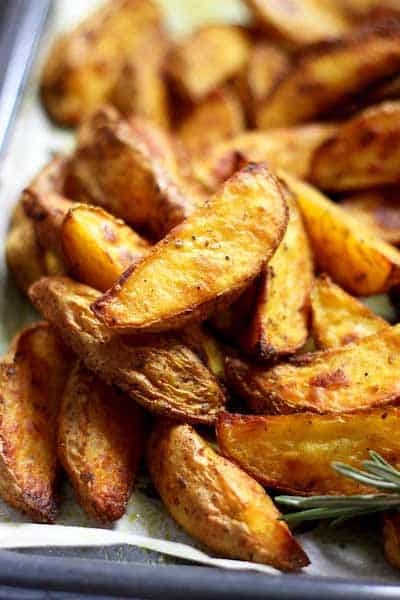 Homemade potato wedges are very easy to make. They are oven baked and smothered in olive oil, garlic powder, smoked paprika, rosemary, salt, and pepper. This is one of my favorite side dishes. Crisp and tasty you will find yourself making them often. These are definitely your typical green beans! 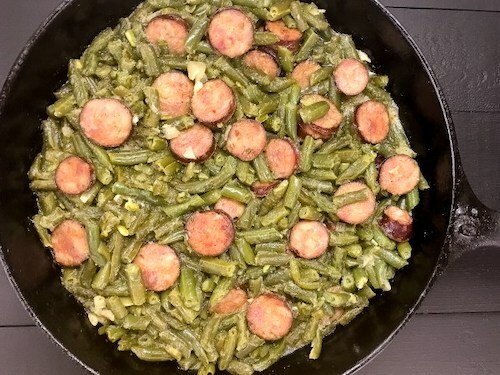 Cajun seasonings team up with onions, peppers, celery and green beans for a match made in heaven. A delicious side dish but if you add sausage like the recipe does you have a one-pot main dish as well. Mushroom lovers you are in for a treat. This is one delicious dish and it’s all done on the crockpot. 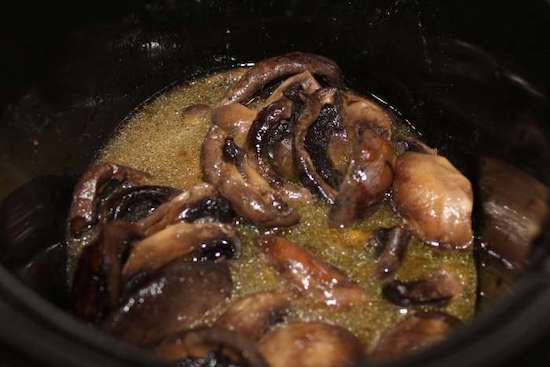 All you need to get started is butter, mushrooms and a pack of ranch seasoning. Tip – get yourself some crockpot liners for easy cleanup. Not only are these a great side dish for a Tex-Mex dinner night but they are great appetizers as well. A creamy cream cheese filling goes in the middle with a crunchy coating on the outside. Mini bell peppers work nicely for the kids who don’t like them quite as hot. 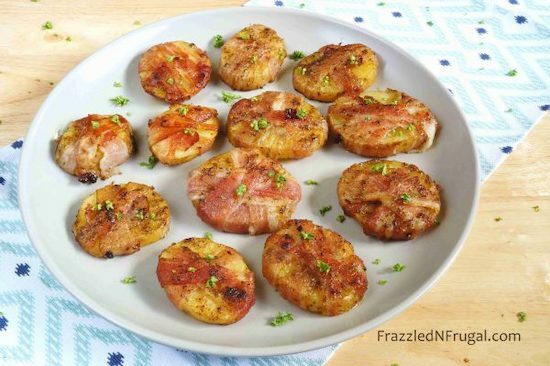 Bacon and potatoes are both staples in this house and this dish puts the two together for a fantastic side dish. 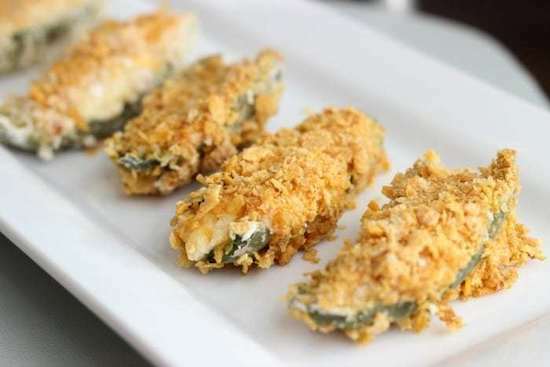 Like the poppers above they also make a great appetizer and are kid-friendly. 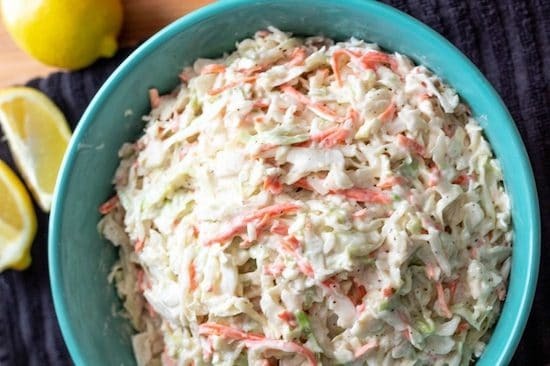 What barbecue would be complete without coleslaw? But you don’t have to buy store brand stuff, you can make your own. It’s easy and oh so creamy and delicious. 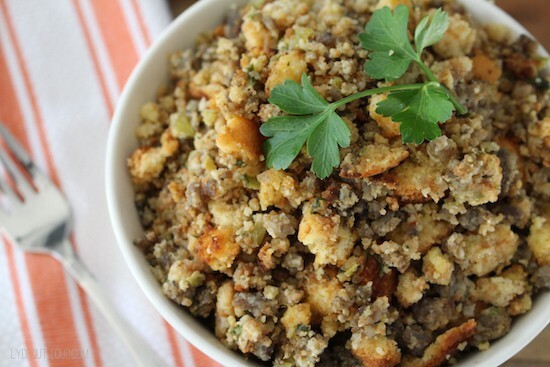 Stuffing and side dishes aren’t just for the holidays. It goes well with pork and chicken at any time of the year. It’s a stick to your rib side dish that deserves to be enjoyed more than once a year. 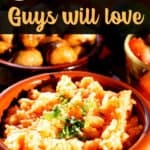 Now you have 12 side dishes men love that will make a dinner nite in a success. These great side dishes should make dinner time easier for us all. Don’t forget mealtime isn’t complete without a Dad Joke, check out our 10 Best Dad Jokes to help you spread a little mealtime laughter. Do you have a favorite side dish let us know and maybe we will add it to our list? In these emails, you will find out how to balance being an awesome Dad and keeping your family happy and healthy. These are great ideas. My guy would say NO to the mushrooms but he loves Bacon Wrapped Asparagus. I made some Monday night. 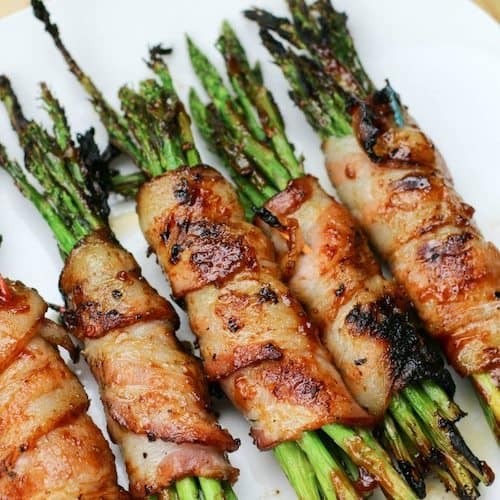 My husband loves all of these especially asparagus wrapped in bacon, he would eat it every night.